With popular cities like Berlin and Munich, popular attractions like the Berlin Wall, and world-renowned events such as Oktoberfest, Germany is the 7th most popular tourist destination, according to Squaremouth data. Popular tourist cities, such as Berlin, Munich, and Frankfurt, attract travelers from around the world, making Germany the 7th most popular destination, according to Squaremouth data. As the country grows in popularity, travelers are becoming willing to spend more on their trips. The average cost of a trip to Germany has increased by $140 in the past year. Due to this growing trip cost, most travelers are interested in Trip Cancellation coverage to protect their investment. Many of these travelers are interested in Cancel For Medical Reasons. In addition to these pre-trip cancellation concerns, travelers are also showing interest in Trip Interruption, Emergency Medical, and Medical Evacuation coverage to protect themselves during their trip. As with all international destinations, Squaremouth recommends travelers visiting Germany search for comprehensive travel insurance. These policies are built to cover the main concerns of most travelers, including cancellations, medical emergencies, travel delays, and luggage. 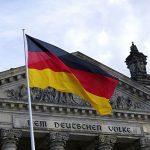 If you’re concerned about not being able to take your trip to Germany, a policy with Trip Cancellation coverage can protect your prepaid and non-refundable trip expenses. The most common covered reason for Trip Cancellation is illness, injury, or death of you, a traveling companion, or a family member. This benefit can also cover things like severe weather, terrorism, and employment layoff, among others. However, travelers who do not wish to insure their trip cost may opt out of Trip Cancellation. These policies will be significantly less expensive, however will still include medical, delay, and luggage coverage. For travel to a popular tourist destination in Germany, we recommend at least $50,000 in Emergency Medical coverage, and $100,000 in Medical Evacuation coverage. These benefits can reimburse you for medical emergencies that occur during your trip. For travelers visiting remote regions in Germany, we recommend at least $100,000 in Emergency Medical coverage, and $250,000 in Medical Evacuation coverage.